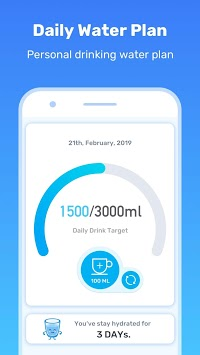 💧Daily Drink Water Reminder is not just a drink reminders APP! 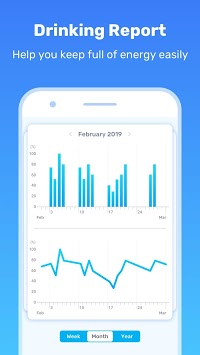 It also is an app as habit tracker and target manager for your health, which means a Health & Fitness lifestyle, that will motivate you to improve your keep healthy skin & fitness & achieve your weight loss goals, help you make Self-care action plans, and reboot your sleep cycle, and discover mindfulness to reduce your anxiety. 💧 It promotes healthy skin. It is an best drink water app to instill habits that improve your health 💪. 💧 Want young skin full of moisture and bursting with life? 💧 Want to Clears up your skin? 💧 Do you always forget to drink water regularly?? 💧 Want to increase your energy so you have focus the entire day? 💧 Want to detoxify your body and be beautiful? 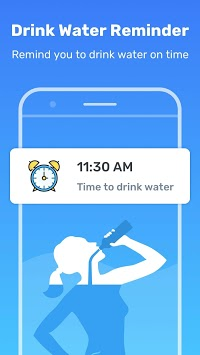 Using this best drink water reminder app to pick up a health life through drink reminder and tracker and meditation reminder, workout reminder. This is why that will rebuild your motivation so you can focus on developing great habits that reduce Reduce the viscosity of blood and Prevent the occurrence of diseases such as cardiovascular and cerebrovascular diseases, then get a better me. There are also a lot of plans for kinds of drink water habit as a tracker or a reminder, which help achieve your health like keep healthy and moisturize the skin and productivity goals everyday. 💧Daily Health Drink Water Reminder Reminder is not just your average drink water habit tracker or goal maker or health reminder. It is your private assistant, and motivation to workout and lose weight, your morning routine jump start, your mindfulness app to help you get whole energy for the whole day, and so much more. We are constantly improving and that is why your opinions and contributions are very important to us. If you have any questions or suggestions about this app you can contact us through the developer's contact or through our profiles on social networks. Daily drink water is the best app for your health.